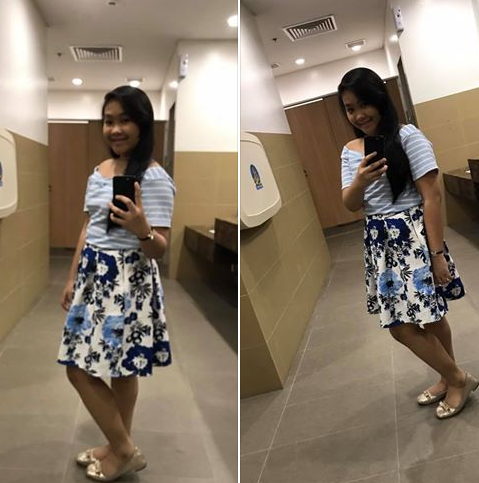 Luckyfinds: Look and feel your best with Whipped! 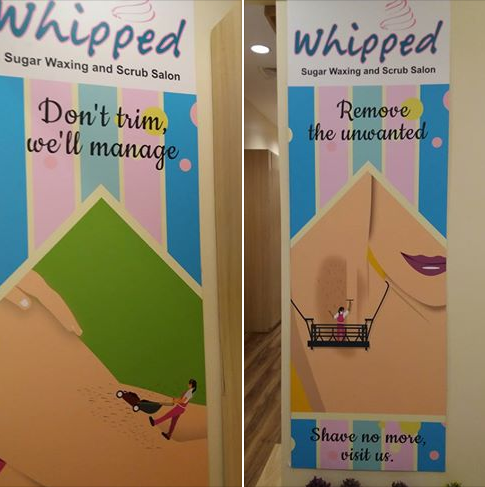 Look and feel your best with Whipped! The skin is our body's largest barrier against infection and so keeping it healthy with proper skin care is important. Beauty and skin care go hand in hand, and so we take good care of our skin. We want to show off our best with confidence especially with the numerous holiday gatherings, and keeping good skin habits is the best way to do it. Treating the skin with kindness will go along way as the glow will show! 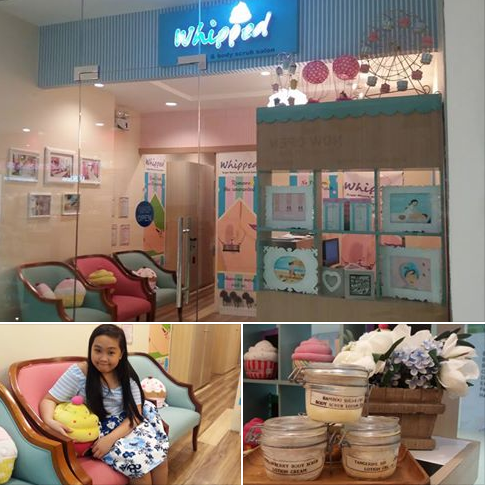 We went to Whipped Sugar Wax and Body Scrub Salon services at their new branch at South Park Ayala Alabang Mall for my daughter's underarm treatment (P 350) and half leg sugar waxing (P 650). 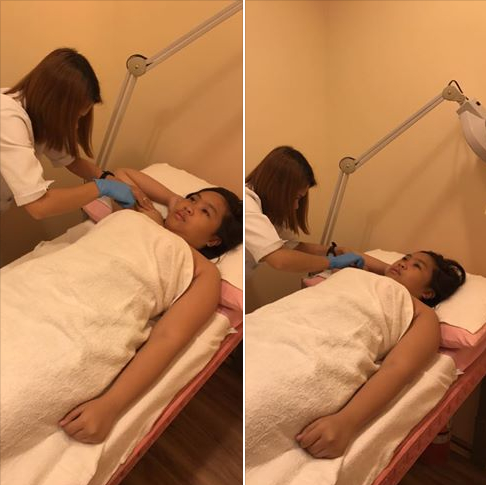 She tried the armpit waxing at Whipped Sugar Wax and Body Scrub ATC Salon last year and so my daughter looks forward to another pain-free waxing experience . 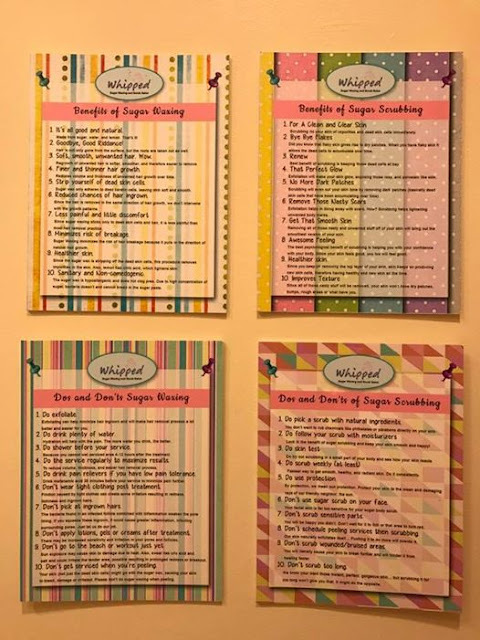 If you don't like hot wax, to try out sugar waxing. 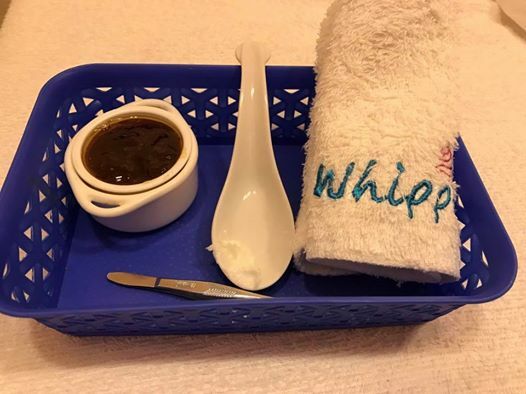 Whipped only uses sugar wax and Whipped ensures that you are in good hands. There is no risk of scalding with this cold wax method. After waxing, finishes by plucking the smaller hair not captured by the sugar wax. She then tops the area off with moisturizer. She did the same procedure on my daughter's legs. The therapist reminded her of post-waxing do's and don'ts. 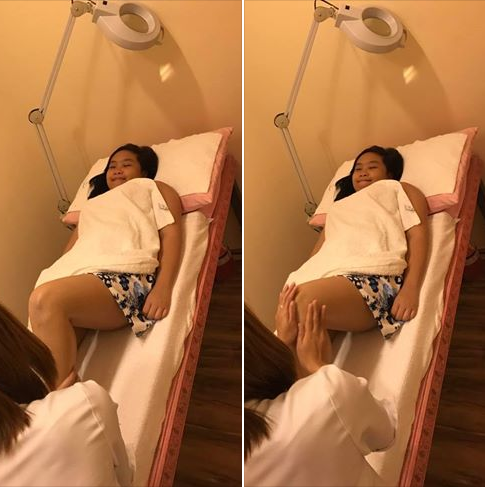 She told her to refrain from wetting the armpits and legs within 6- 8 hours after waxing as the pores are still open. Starting good skin habits at an early age will contribute to a younger looking skin later on in life. Do vist Whipped Sugar Wax Salon and Body Scrub at Ayala Fairview Terraces, South Park Ayala Alabang Mall and 8 Forbes Town Center. Like their Facebook and Instagram to get updates on their services and promotions.